NEWS FLASH: Senior families, the process to apply for federal and state financial aid funds has changed. You may fill out the Free Application for Federal Student Aid (FAFSA) beginning October 1, 2017. This is a change from previous years. You will use your 2016 financial information to complete the form. It is wise to fill out the form even if you believe you will not be eligible for federal and state aid. Some scholarships require FAFSA data as part of the application process. Create an FSA ID now. 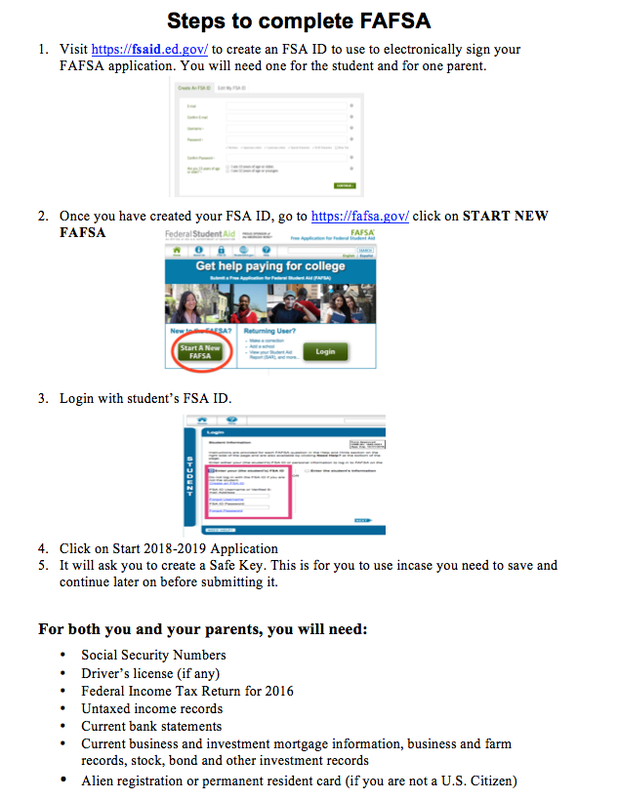 The FSA ID is the username and password you will use to access and sign the FAFSA. Both the student and the parent must have an FSA ID. 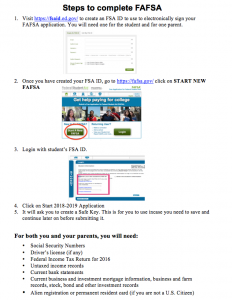 You will need your social security number to create the FSA ID. Go to https://studentaid.ed.gov/sa/fafsa/filling-out/fsaid and follow the steps to create your ID.